After a fun ice skating trip on Erev Shabbat, we prepared for the last Shabbat of the month; and it was definitely one we’ll remember! We had a beautiful Kabbalat Shabbat, and tons of ruach and dancing during dinner. Shabbat day continued with a lot of ruach and some much needed rest after Maccabia. Leading out the Shabbat, Slow Shira was unbelievable, followed by the strongest Havdallah of the summer. Motzei Shabbat night tochniot were exciting as well! The girls enjoyed a night of zumba and swimming, while the boys had swimming and their leagues’ hockey championships. Zumba was led by our very own Orit Shattach, a dance teacher in Israel, who was joined by the Mach Hach girls. These last few days will be truly memorable, and we’ll be holding onto them until we come back next summer! Excitement is in the air as the two teams, Ir (blue) and Kibbutz (white), continue in the second and final day of Maccabia. By tonight, after endless hours of cheering and competing, one team will be crowned victorious. Last night showed just how much effort has been given on each side with the outstanding Stomp competition; and that was after a whole day of basketball, volleyball, dodgeball, swimming, archery, colorful meals, and the scientific Egg Drop. In store for each team today are the home run derby, flickerball, hockey, tennis, and sand castle making competitions, the Apache Race, and more creative meals. Everyone is working hard on the special projects, sports competitions, cheers and songs, Divrei Torah, and all-around ruach. Melechet Yad has been full, sports fields have been exciting, and meals have been spectacular. Can’t wait for the Final Presentations tonight and the announcement of the Maccabia winners of 2011! The best has yet to come this month in Moshava. After the conclusion of an extremely moving Tisha B’av, Maccabia was broken out and the chanichim went wild! Filled with excitement, everyone was divided into teams (‘ir’ and ‘kibbutz’) and will be competing to see who wins over the next two days. Make sure to keep your eyes on our website and Facebook page for pictures, updates and Moshava Minutes. Please see below for a video of our Rosh Kollel, Rabbi Aviad Sanders, describing our Tisha B’av tochnit.  Members of the Moshava Wild Rose family in the Chicago area gathered last night at Hillel Torah North Suburban Day School for a meaningful program intended to capture the experience of Tisha B’Av at camp. The moving program included the reading of Eichah and Kinot by Moshava alum Jeremy Amster, an inspiring story told by Moshava alum Rabbi Philip Karesh, and slow shira led by Alan Sorscher. Thanks go out to Moshava alumni Ilana Karesh, Rivkie Lafer, and Dov Shandalov for helping to put the program together. We would like to wish the entire Moshava family a safe and meaningful Tisha B’av. Our Kollel is excited to play a large role in our tochnit here in Macheneh and are prepared to give the chanichim a Tisha B’av like no other. There will be no new Moshava Minute today due to the tzom. Check Our YouTube Page to See a Moshava Minute From The T-Rats’ Game. Yesterday, the oldest shevet got a taste of next year on the Hill! They had a delicious lunch of grilled cheese in the brand new chadar ochel, davened mincha, and then had a tour of the Hill, including the new yurts. After some kushi gufi, a typical machal experience, the chanichim cleared out the chadar ochel for an intense game of GaGa, and then a game of knock-out on the basketball court. Finishing their afternoon on the Hill, oldest shevet played a game of Wah! in the beautiful, air conditioned beit midrash, and then made their way downstairs for shekem. For the night tochnit, they had a special trip…bowling in Waupaca! It was a very exciting day for the chanichim and we can’t wait for Machal 2012! Our Mach Hach program has arrived safely in South Dakota and are already enjoying the many adventures that have been planned for them. This safe and specially designed trip is for chanichim entering 11th grade and is filled with fun and educational activities. On the trip so far, the chanichim have visited Wall Drug, (a famous Western tourist town), went fishing for dinner and today are currently on their way to see an old western theatre and then off to Reptile Gardens. In the upcoming days they will be hiking up Harneys Peak, visiting the Flinstones Theme Park, experiencing the Black Hills Maze, sight seeing at Mt. Rushmore and going to the Crazy Horse Memorial before returning to camp early Friday morning. Make sure to check our website and facebook page daily to see pictures from the trip.